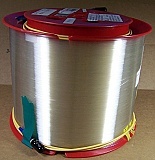 7.109km, 7.809km, or 15.917km Lucent/AT&T dispersion-shifted fiber (DS,DSF) spool. With zero dispersion around 1550nm. Without fiber connectors. Fiber ID number ending with "DCB". 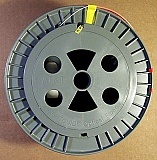 30km or 33km Lucent/AT&T dispersion-shifted fiber (DS,DSF) spool. With zero dispersion around 1550nm. 20.317km or 20.326km Lucent/AT&T dispersion-shifted fiber (DS,DSF) spool. With zero dispersion around 1550nm. Without fiber connectors. Fiber ID number ending with 'DCB'.